Young adults who are scrambling for employers’ attention in the still-tough job market could envy the graduates of University of Texas-Arlington’s Computer Science and Engineering Program. A few seniors landed jobs at various companies upon graduation—and they didn’t even have to apply! They just entered their resumes into the campus’s database of graduating students—the school maintains this database for employers across the country, who review the entries and select promising ones to interview—and companies called them. Nor are these students anomalies. David Kung, Professor and Director of the Undergraduate Software Engineering Program, said that a few of Spring 2012’s graduating seniors told him that they had scored as many as three offers each before graduation day. “Our students are very much sought after in the industry,” Kung says. The program’s graduates have found work at some of the best-known tech giants in the country: IBM, Microsoft, Nokia, NASA, and Lockheed-Martin, and many others. Small startups throughout the Dallas-Fort Worth region recruit them, as well. Not all are picked instantly out of a database. Most have to apply to job after job. However, according to Kung, the rigorous training in software skills that they get at Texas-Arlington’s program helps them to outshine the competition. “Students have told me that the courses they had taken really helped them during the interviews. Students were able to provide specific answers to the questions that interviewers asked, thanks to the courses they took,” Kung says. The program’s 120 credit-hours of instruction include five core courses that cover “all the areas of software development,” according to Kung. 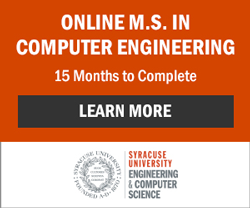 It starts with an intro course, Fundamentals of Software Engineering; followed by Object-Oriented Software Engineering, which teaches software-systems analysis and design. Third is Software Design Patterns. It instructs on more sophisticated methods of designing software. “That course is aimed at educating the software architect. It produces a software designer,” Kung says. Students also take Software Testing and Maintenance, in which they learn to generate test cases to validate the software systems. Fifth and final is Software Project Management, which instructs on how to oversee real-life industry projects. Many university software-engineering programs around the country have a senior-year “capstone” project in which the students—often working as an entire class—create, or help create, a new software program or app for a business or organization. Texas-Arlington’s software engineering program has a capstone component, too. But the school goes a step further: Its students sometimes have opportunities to work on projects for outside clients. Kung says that businesses and nonprofits around the region, and even offices on campus, send him project ideas. For instance, one class last year worked on the development of an office patient medical record (OPMR) management software system for a Dallas children’s hospital. And in the 2006-7 academic year, a class designed and implemented study abroad management system for the on-campus Office of International Education (the office that oversees foreign-exchange students). Working on actual software programs is certainly great training. But according to Kung, it’s also just plain exciting. Students enjoy developing something that real people will use. “The students know that they are doing useful work,” says Kung. The Computer Science and Engineering Program has a budget of $7 million a year for research, and its faculty use the money for ongoing initiatives in robotics, security, and other areas. Many professors invite students to work with them, usually during summers, on their endeavors. Student assistants are particularly helpful, according to Kung, in testing software. There is a Software Testing course whose professor selects student volunteers to help him with his software testing R&D. The student software-testers apply testing methods that they learn in the course, such as the “combinatory approach,” which sorts all the parameters that need testing into combinations and specifies certain combinations to test, as opposed to testing every combination of every parameter. The method thereby reduces the number of necessary tests. “It involves trying to figure out some combinations, and those are enough to figure out all the combinations,” says Kung. Still more training opportunities are available off-campus. Kung says that co-ops, which involve working full-time for a company for a semester or a year, are popular; as are internships. He’ll get e-mail requests for interns from companies across the country, ranging from small startups to established giants like IBM, Microsoft, and Raytheon. He forwards all requests to students. Students set up co-op arrangements via the on-campus co-op office. Co-ops don’t usually count for academic credit, but the companies do pay wages. Better still, both internships and co-ops can lead to permanent jobs. Many companies invite exemplary interns and co-op students back to work full-time. “Some of the companies in California, they’ll e-mail me and say that our student was ‘cutting-edge,’ or that several of the students, that they hired ‘they could not be happier with,’” says Kung. Kung and colleagues offer training that greatly benefits their students’ career prospects. But on another level, the professors are helping the economy as a whole. Kung notes that the students will graduate prepared to not only work for companies, but start their own if they see fit. And an overwhelming majority do see fit. In Spring 2012, the software engineering department surveyed its students and asked if they wanted to be entrepreneurs, and 86% said yes. That is potentially an array of new enterprises, each of which will create new jobs. “I usually tell students that if they have an opportunity to set up a business, do it, because it is good for the economy, especially the local economy. 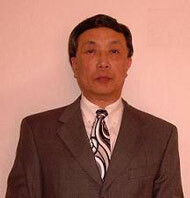 It creates jobs,” Kung says.